The following events are holistic fairs, workshops and other holistic wellness gatherings that we have organized and/or are participating in. Looking for ways to get the whole family well! This unique Wellness fair will have something for everyone. Look for Steve at our Clayhut Booth! Our four-legged family members help us much more than we realize. Steve will teach you how to help them as they help you. Clayhut Healing will be helping to raise awareness and funds for MDS/ Aplastic Anemia & Myelodysplasia Association of Canada (AAMAC), in memory of Michelle Steeves. Join the Lady Boss Collective Events & Rosemary Wellness for a fun night out. 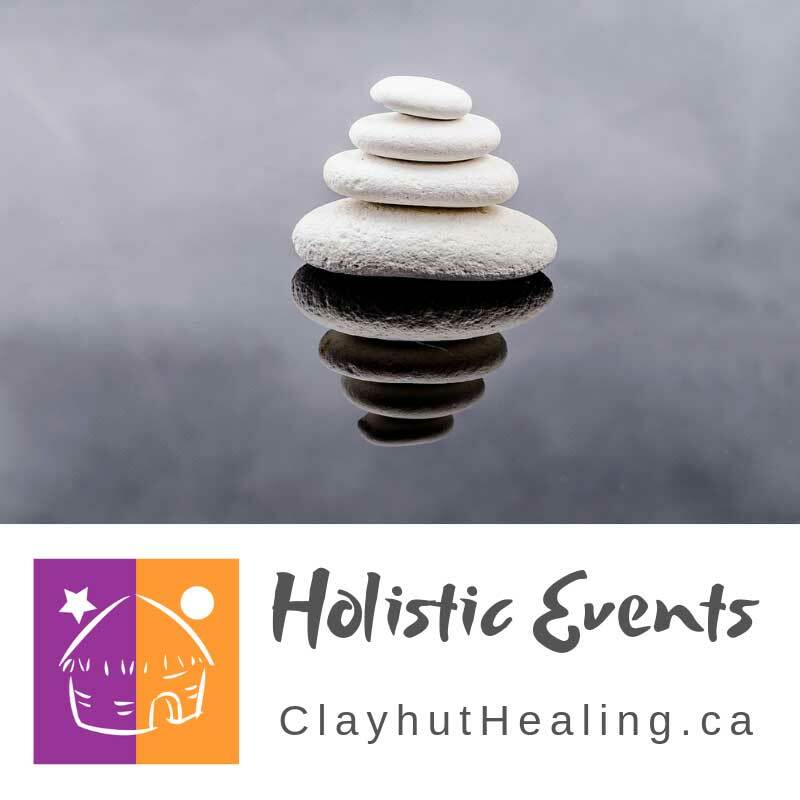 Clayhut Healing presents this bi-annual weekend gathering of local, heart-based integrative health practitioners and suppliers, sharing services and products designed to heal your mind, body and spirit with love. This includes free presentations all weekend, along with 33+ interactive exhibits in an intimate, relaxing environment. This is our fall fair. It will follow the same model as our spring one.